The City Council met on Nov. 23 with all councilmembers in attendance. The meeting ran for over two-and-a-half hours. Whoa. Did someone spike the water cooler? The meeting descended into a ball of confusion almost from the get-go, but more on that later. First up was a moment for the public to speak about anything on the agenda. As usual, former city official Robert Zwolak had something to say. Zwolak said in light of Councilmember Kazi Miah’s previous request to be excused from three meetings, the council should look at the unexcused absences of other councilmembers. “You’re either going to be here or not be here,” Zwolak said. He said he wouldn’t mention names, but that if some councilmembers can’t make the meetings they should resign. It was not immediately clear how this topic was related to any of the topics on the agenda. A public hearing was held on yet another issue regarding the redevelopment of a four-story building on Jos. Campau and Belmont. This hearing officially designated the building as a special district where property taxes would be frozen at the current level for the 12 years. The deal helps offset costs for the development of the building, which calls for a soul food restaurant on the ground floor and office and loft space in the above floors. Councilmember Cathie Gordon said later in the meeting that she was hesitant to “give away” money for the project. It was pointed out that there is no giveaway of city money. Robert Zwolak questioned whether the building will be exempt from possible future court-ordered tax judgments regarding police and fire pensioners. City Manager Bill Cooper later said that will have to be researched. Long story short, the council unanimously OK’d the tax deal. 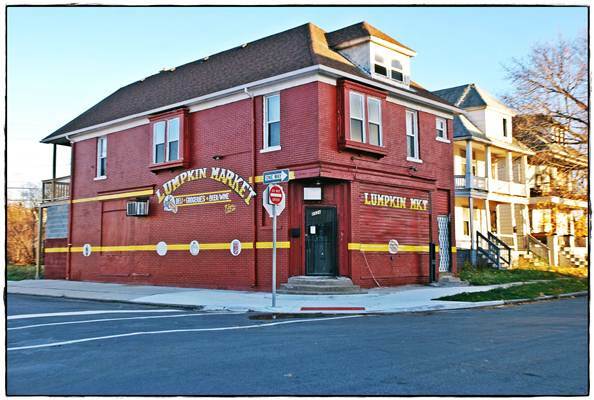 A proposal to allow a building located at 8526 Lumpkin to be used as a market store took up a large chunk of time and stirred some passionate debate. The building had once been a party store but closed five or six years ago. Technically, since the building is located in a residential area, the new owner of the store has to get permission for a “special land use.” Community Economic & Development Director Jason Friedmann said using the building as a market is an acceptable usage for a residential area. Opposition to the proposal came from the owners of Metropolitan Baking Co., who through their attorney, Steven Grobbel, said that the previous party store was a nuisance to the neighborhood. The company is located across the street from the site in question. Grobbel said people would hang out in front of the store, drink and harass bakery employees and vandalize the property. “It became a magnet for trouble,” Grobbel said. (Editor’s note: That’s a phrase originated by baseball legend – and accidental Zen riddler — Yogi Bera). Resident Hillary Cherry questioned that if a market was not an acceptable use for the building, then what was. The store owner, Mary Alawfi, defended her store, saying she will have security cameras and security. She urged the council not to judge her store on the reputation of the previous store owner. Councilmember Catrina Stackpoole questioned whether there was a need for a store in the area. Friedmann said several residents indeed said they wanted a market. Councilmember Cathie Gordon said that if anyone is concerned about liquor sales at the store, that decision is not up to the council and is not what is being considered at this point. She said the only issue in front of the council is whether the building can be operated as a market. 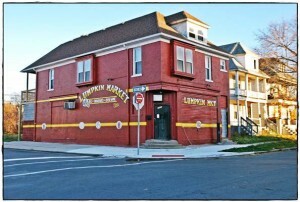 Gordon also noted that there are several other neighborhood markets in the city. Councilmember Tom Jankowski said he is against the store, saying the proposal is not part of the “intent” of the city ordinance regarding special use. He did not elaborate on that point and how exactly it doesn’t square with the ordinance’s intent or what exactly he means by intent. Jankowski further said that there have been problems when party stores operated out of this building in the past, and there are other problem party stores in the city. He also noted that people praised American Axle for buying up and demolishing party stores near its plant years ago. He said that was viewed as “cleaning up” the city. Jankowski said that you can’t rely on the police to respond to potential trouble at the market. “I’m going to play it safe on this one and not vote for it,” Jankowski said. Councilmember Mohammed Hassan said he is concerned about liquor sales at the market. Councilmember Kazi Miah said he supports small businesses. Miah also pointed out what if developers were listening to this conversation and what would they think of trying to open a business in Hamtramck. “We’re not sending the right message,” Miah said. Councilmember Ahmed said what happened in the past cannot be held against the new owner. “We should give her a chance,” he said. Councilmember Stackpoole said this decision was a “tough one” because other neighborhood party stores are problems. She also pointed out that there is a major supermarket three blocks away from this site as well as several smaller markets in the area. “I don’t see the need for it,” Stackpoole said. Mayor Karen Majewski weighed in on the matter, saying people want to be able to walk to a local, neighborhood market. She also said that Metropolitan Bakery is missing out on a marketing partner. She said the store could carry the company’s bread and make sandwiches, which drivers for the bakery might want. In the vote to approve the store, only Councilmembers Hassan and Jankowski were opposed. Normally the purchase of a police car – especially from a funding source other than the general budget – is a slam dunk. Oh no, not at this meeting. The subject was the jumping off point for Councilmember Jankowski to go on a series of sharp attacks on City Manager Bill Cooper. Money to pay for the police vehicle was slated to come from the Police Department’s drug forfeiture fund — in other words, free money. But Jankowski took issue with the fund, questioning how much money is in it and how the fund is controlled. He also said he wants an inventory of the Police Department’s vehicles. On the drug fund, Cooper said he did not know offhand how much is in it, but pushed by Jankowski to ballpark the figure, he said about $1 million – give or take $100,000. He accused Cooper of having lost control. “Someone’s in charge but no one is in control,” Jankowski said. Jankowski was not done yet. He continued to admonish Cooper, saying he needs to work with council as a team, and that he has been too slow in providing requested information. “We keep waiting, waiting and waiting,” Jankowski said. Councilmember Gordon said she doesn’t want to dip into the drug fund just for the sake of avoiding spending from the general fund. But then she asked if more salaries could be offset by the drug fund. “Whoa, whoa, whoa, whoa,” said Cooper. He said there are strict state and federal guidelines on how drug funds can be used. That gave Jankowski another opportunity to make a verbal jab at Cooper. “It appears the feds have very strict rules. I wish we do,” Jankowski said. Jankowski added that the city’s financial troubles are accelerating fast and that Cooper is too slow in providing financial information to the council. “There’s almost a contempt,” Jankowski said to Cooper. Jankowski then proposed to delay purchasing the vehicle in order to review the drug fund in full. It was pointed out that the vehicle in question is currently being leased by the Police Department and that lease runs out on Nov. 30, at which point the car has to be returned. The council split on the vote to hold off on the purchase, with Councilmembers Gordon, Hassan and Jankowski voting in favor to wait and Councilmembers Ahmed, Miah and Stackpoole voting to move ahead with the purchase. The split vote required Mayor Karen Majewski to cast the tie-breaking vote. She voted to go ahead with the purchase. Councilmember Gordon placed on the agenda eight items from the previous council meeting in which she requested an amendment to each issue. But she did not include what exactly she wanted to amend, leaving her fellow councilmembers puzzled over her intent. How can one amend a previous resolution without having a specific amendment to amend. Later in the meeting the council figured out how to make both a specific amendment and also amend nothing. Gordon stressed that was not how she worded her request to the City Clerk. But later, she kind of said that was her intent. A long discussion followed with City Attorney James Allen jumping in to give some guidance. Allen pointed out that the agenda items can be amended simply by stating what it is that needs to be amended. Well, that concept took some time to sink in. Gordon said her intent in “amending” the issues was simply another way to say she wanted to discuss them. The agenda items in question had to do with previous requests to end non-essential overtime, a detailed report on the Police Department’s drug fund, its 911 fund and the traffic patrol program, eliminating vehicles assigned to staffmembers, a cost savings analysis to merge the police and fire departments together, and to contract those services with another community or contract them out, end all non-essential services, have departments cut 20 percent of their budgets, end furlough days for appointees and find out how much the city can save by switching to another health insurance plan. To say the least, it was a lot on one plate. The discussion broke down, though, in an ongoing attack on Cooper and how he prepared the requested reports. Jankowski called them part of a “big dance” by Cooper. Cooper said he could have more financial information on hand if councilmembers asked him before the meeting. On the subject of eliminating non-essential overtime, Gordon asked if that included the police traffic patrol program. The program not only pays for itself but brings in a substantial amount of money through traffic fines, Cooper pointed out. And the answer to Gordon’s question was yes, the cut in non-essential overtime includes the traffic patrol program. Except it wasn’t cut, Cooper said, because it was his understanding that the council wanted to keep the program, which he gleaned from Gordon in discussions after the last council meeting when the OT order was issued by the council. And that prompted Jankowski to question why Cooper would not impose the restriction since it was a council directive. The upshot, though, was the council agreed to allow the traffic patrol program to continue. So all you speeders and reckless drivers consider yourself warned: the cops are still writing tickets. The question of overtime didn’t go away quite yet. Jankowski further pressed the issue, asking if ALL (his emphasis) non-essential overtime has been eliminated. Cooper said there is some overtime in the Police Department that is paid through special grants. That was an Ah-Ha! moment for Jankowski, who said that when the council directed ALL non-essential and non-emergency overtime to be cut, it meant ALL. Despite the fact that some OT is paid by grants, Jankowski said it’s time to “draw it back in.” He said the council needs to get a handle on how much money is spent and what “procedures” are in place to determine when and how money should be spent. City Hall Insider has to take a break here because our publishing deadline has been pushed a day ahead and there is just too much more on this subject to report and not enough time. So … stay tuned for part two next week.